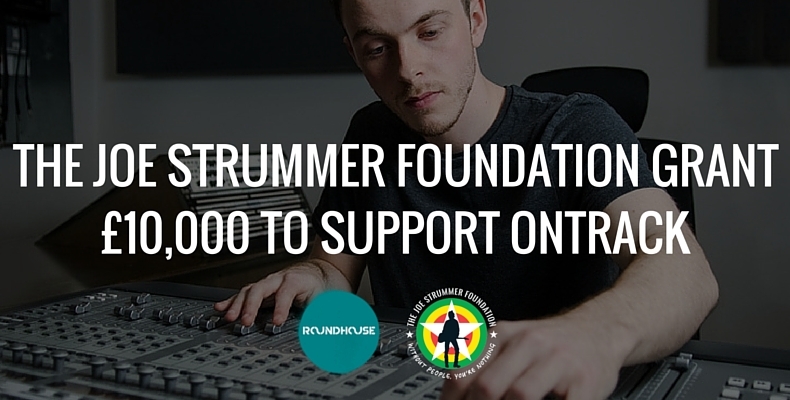 The Joe Strummer Foundation are delighted to announce our support of the Roundhouse OnTrack programme 2016. Through our fundraising campaigns over the past year we are able to allocate £10,000 for OnTrack programme and for that we are truly thankful. The programme is a 6 week intensive course that works with up to 20 vulnerable and disadvantaged young people each year who are classified as NEET (not in education, employment or training). OnTrack sees music tutors and youth workers delivering three days per week of expert tuition where participants collaboratively write, practise and record original music which culminates in a live performance showcase at the Roundhouse. This a fantastic opportunity for those lucky enough to participate and we look forward to seeing first hand the positive effect it has on the young musicians of tomorrow. We will be reporting the progress of the OnTrack 2016 Programme.